M.Sc. Florence Klement is a research associate and doctoral candidate at the Chair of Trust in Digital Services in the Faculty of Economics and Management at TU Berlin. She is an Industrial Engineer by background and holds a dual master’s degree from TU Berlin and Toulouse Business School. 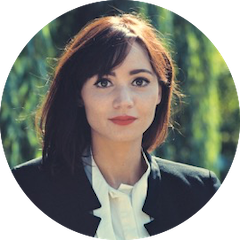 Having worked at Companisto, Florence's main interest of research is in the area of Trust in Equity Crowdfunding (Crowdinvesting). Crowdinvesting is an Internet-based finance and investment tool that enables companies to acquire mezzanine capital from a large number of individual (small) investors - the „crowd“ - through an intermediary platform.